Contrary to the L 3000, the Mercedes-Benz type L 4500 worked in the best way on all fronts. 2,711 exemplars of the all-wheel driven variant were made. 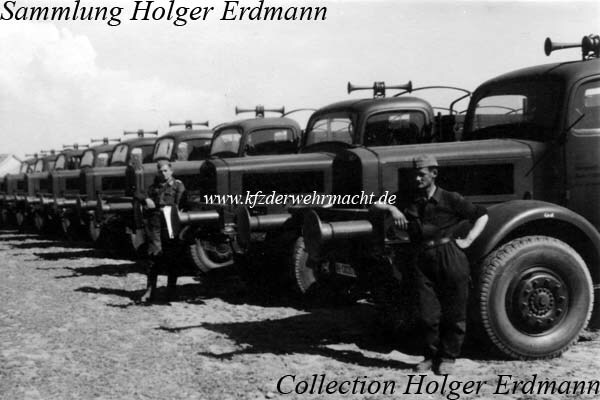 308 chassis were used for production of fire brigade vehicles for air defence units. This one is an L 4500 A with standard box body during a rail transport to the east front. 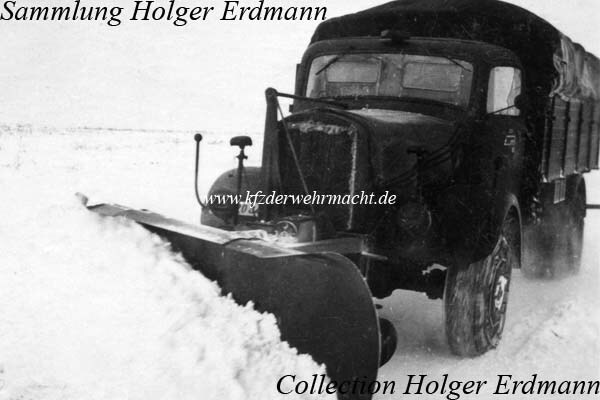 Due to the powerful 112 HP, 7.3 litres diesel engine, the L 4500 A could be used as carrier for snow ploughs, too. 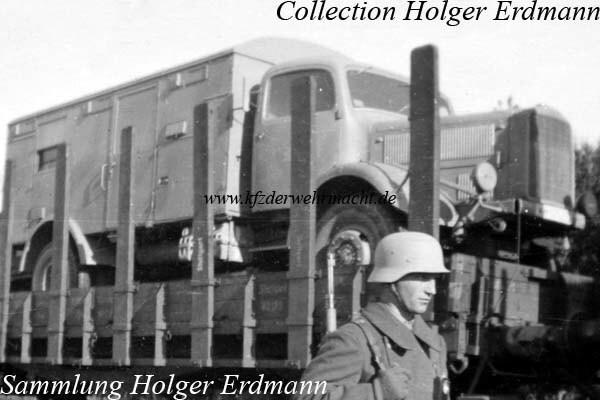 Some of the Mercedes-Benz type L 4500 A were equipped for rail operation. On this photo altogether 9 of such vehicles can be seen.